Small - £40.99 Only 2 left! Well you heard it here first, we have got the perfect costume for anyone that loves candy and has a fascination with the best holiday on the calendar, that being Halloween, of course! Take a good look at this Men's Deluxe Oompa Loompa Costume! This amazing brown and white jumpsuit matches what everyone's favorite pint-sized candy-makers wore in Willy's famous factory. It's also just one piece, so no need to worry about your suspenders getting loose while you run around, finally free from constant factory work. 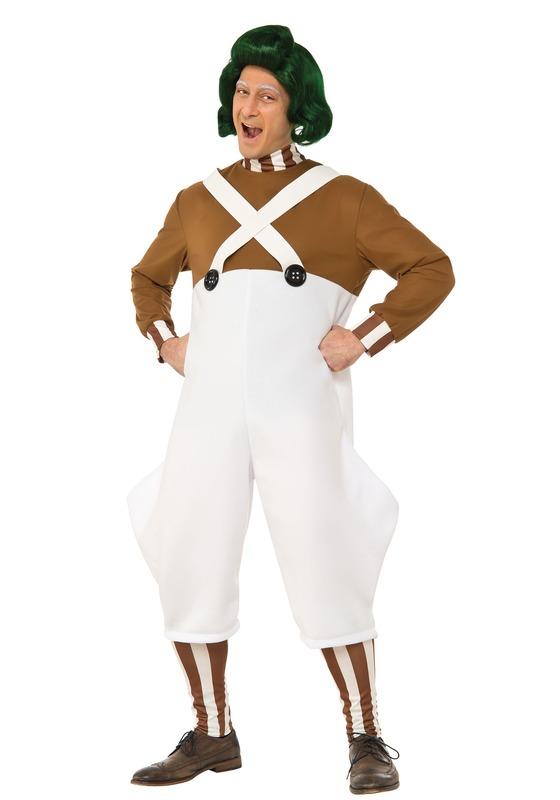 With a nice long tan or a little bit of makeup and a dark green wig, you'll look like the first Oompa Loompa to attempt living life outside of the Wonka Chocolate Factory! People will know that Oompas aren't only talented when it comes to making candy once you enter the party scene! Show the masses that the Loompas can lay down some pretty sweet lyrics on a mic and that their dance moves are smoother than milk chocolate. So if you're ready to help introduce the world to these talented mini miracle workers that Wonka has kept locked away in his factory for ages then throw on licensed Oompa Loompa Costume. Be the human to help pave the way for these tiny creators of everything sweet, it’s the least you can do for them after their years of helping to feed our ever-hungry sweet tooth.